Cuong Vu photo by Daniel Sheehan. UW School of music students present homages to jazz icons along with original progressive jazz compositions. Jazz Innovations, Part I is facilitated by faculty members Marc Seales and Ted Poor and takes place on February 13. 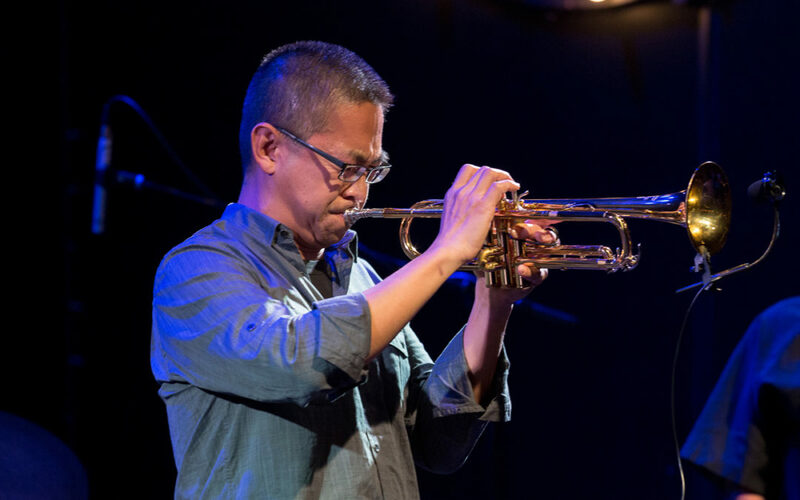 Jazz Innovations, Part II takes place on February 14 and is facilitated by Artist in Residence Greg Sinibaldi and Chair and Professor, Jazz Studies, Cuong Vu. Both sessions are held in the Brechemin Auditorium at 7:30pm. Free and open to the public. Visit music.washington.edu for more information. Artists and art groups seeking funding to create and share their work are encouraged to apply for 4Culture Arts Projects grants by March 6, 5pm. The grants support project needs from June 1, 2019 through June 1, 2021. Projects Grants can be used to help artists create new work, interpret existing work, pursue professional development opportunities, and pay for equipment. The competitive grants are offered in fixed amounts and the applications are reviewed and selected by artist panels. Workshops to help strengthen your application are held on February 4, 6, and 11 at various locations. Visit 4culture.org for more information. René Marie, Sara Gazarek, Jaidyn Lam, The Seattle Jazz Singers, Soundsation, and more.Information available at demierojazzfest.org. The LHPAI Facility Grant is an in-kind grant that provides up to 40 hours of staffed event time at this historic, cultural facility located in the Central District. Events receiving LHPAI Facility Grant funding must be open to the public.The grant aims to broaden arts participation and help build community by celebrating, nurturing, presenting, and preserving African American and Diaspora performing arts and cultural legacies. Projects that foster audience expansion to underserved communities are especially encouraged to apply.The application and deadline are ongoing. Visit seattle.gov for more information. Compiled in 2018, the recently published directory catalogues music retail stores, venues, recording studios, rehearsal spaces, music organizations, live music support, and music educators in Seattle. The listings are displayed on an interactive map to make finding a resource in your neighborhood easy. For more information, visit seattle.gov. To submit information to the directory, email seattlemusiccommission@seattle.gov. A memorial celebration to remember the late clarinet player, Perry Robinson, will occur on February 10 at Couth Buzzard Books beginning at 5pm. Individuals will have the opportunity to share stories, songs, and memories of the frequent visitor and collaborator with the Seattle jazz community. Earshot Jazz is seeking a part time Calendar Editor to maintain the community powered Jazz Around the Sound calendar. Duties include publishing daily submissions, manually entering events, formatting the digital calendar to be printed in the Earshot Jazz magazine, and responding to calendar inquiries. Microsoft excel experience and appreciation for the Seattle jazz scene required. WordPress experience a plus. 10–12 hours per month, $15 per hour. Please submit a letter of interest and résumé to info@earshot.org. The Earshot Jazz magazine is seeking new writers and story pitches. The monthly publication reflects and shares the many ways that jazz intersects with lives in the Pacific Northwest. Writers are compensated for their submissions. To be considered as a contributor, please submit a writing sample to editor@earshot.org.